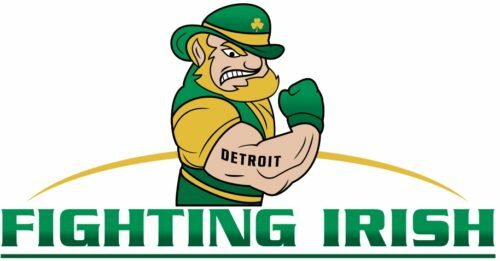 Detroit Fighting Irish has expanded the duties of Steve Glover, general manager Dan Vasquez has confirmed to Hockey News North. Glover has a long association with the Fighting Irish hockey program that the veteran Vasquez oversees under owner Lisa Cruz. Vasquez told Hockey News North that Glover will serve as director of the Fighting Irish youth organization as well as being the head coach of its major midget team. As well, Glover will take a more active role in the player personnel department of the Fighting Irish junior team that plays within the U.S. Premier Hockey League. Vasquez sang the praises of what Glover means to him and the Fighting Irish program. “Steve has been instrumental in helping me build teams throughout my junior career as a coach, general manager and scout,” Vasquez relayed. “Steve and I have always had the same philosophy when it came to teaching. Meanwhile, Vasquez also confirmed that Jeff Bond will take on responsibilities as the skills coordinator for the Fighting Irish program. “We believe that to be successful and to be a true development program that players need to be exposed to a unified curriculum that is based on skills, skill progression and by internal building blocks,” said Vasquez, relative to Bond’s position with the Fighting Irish.